A safari is doubtless on many a travel bucket list – but what if we told you that you could experience all the thrills of an African reserve, in Kent? Thanks to Port Lympne, that’s not far from the truth. 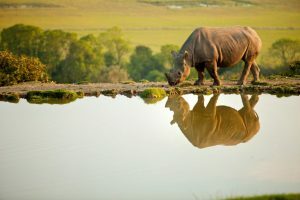 The wildlife conservation park, which covers a vast 600 acres, is home to hundreds of rare and endangered species – from Barbary lions, Amur tigers and Clouded leopards to Western Lowland gorillas, Eastern Black rhinos and Rothschild giraffes. First thing’s first, Port Lympne doesn’t just keep animals for the sake of it; this is so much more than a glorified zoo. The reserve is run by The Aspinall Foundation, whose entire raison d’etre is to ensure the survival of endangered species. A breeding sanctuary for some of the world’s rarest creatures, Port Lympne aims to return animals where possible to their natural habitat. All this means that it’s the animal, not the visitor, that comes first. Each enclosure is designed to replicate the animal’s natural environment as much as possible and large enough to give them places to hide should they want to. Of course, this means that visitors might not be lucky enough to see every single species during their visit, but co-ordinated feeding times and specialist viewing platforms gives you the best possible chance to catch a glimpse of everything. Unlike a conventional zoo, many of the animals are mixed in with others, as they would be in the wild; cheetahs share enclosures with rhinos, while zebras roam happily among ostriches, antelopes and water buffalos. 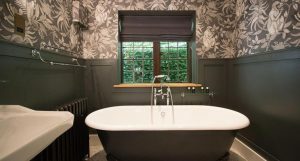 Once a gatehouse on the original estate owned by Sir Philip Sassoon, Wolf Lodge is now a cosy Grade II listed cottage with two king-size en-suite bedrooms, a living room, cinema room and kitchenette. 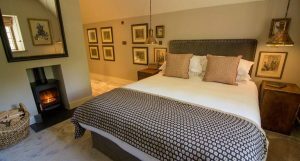 The lodge has been immaculately decorated with plush soft furnishings and original art throughout – no two Port Lympne accommodations are the same – while beauty fans will immediately note the Bamford toiletries. It also boasts not one, but two roll-top baths. 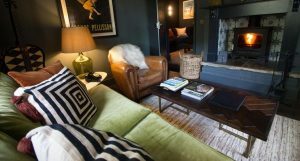 The lodge has its own private garden with wood-burning stove in the middle, which you can huddle round as the evenings draw in. But, of course, the real draw here is the neighbours: a pack of three European grey wolves (all brothers) which live in the wooded enclosure adjoining the garden. 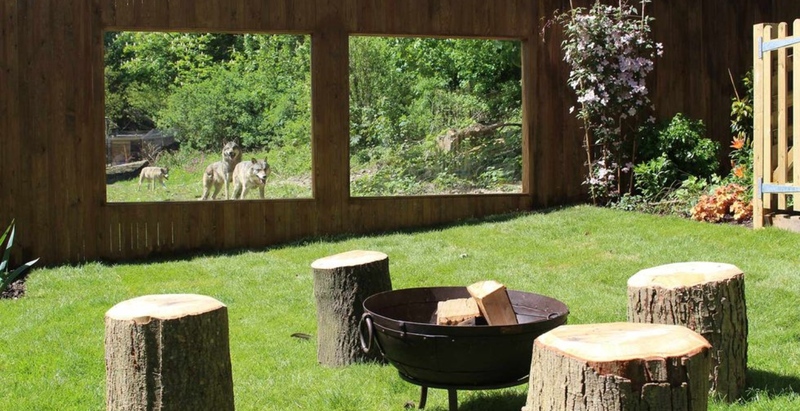 Guests at the lodge can watch them exploring and playing through the windows, or venture up into the viewing platform to see them running through the trees. Trainers will stop by during your visit to allow you to feed the wolves and tell you more about the species which has suffered years of persecution, thanks in no small part to the centuries of legends and fairytales in which the wolf is so often cast as the villain. Guests at the lodge will get their own personal golf buggy, allowing you to explore areas of the reserve not open to other day guests (and with the whole park covering an incredible 600 acres, your feet will thank you). 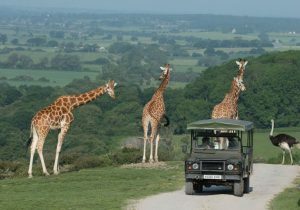 Half of the reserve is accessible via foot or buggy, but if you take part in one of the safari tours – which accesses the vast majority of the reserve – you’ll be driven by truck. While the lodge’s kitchenette includes a small fridge and mini bar essentials (plus popcorn maker!) it’s not a self-catering property – but there are plenty of options for eating within the reserve. Babydoll’s, one of the newest additions, is an authentic Italian eaterie offering pizzas and pasta (gluten-free options available), while the Port Lympne hotel restaurant serves up traditional British fare surrounded by striking animal fresco? 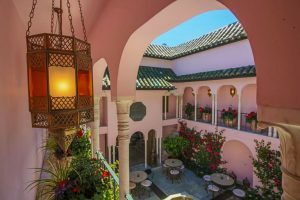 Or, for something a little more intimate, opt for a candlelit dinner in the beautiful floral-filled Moroccan courtyard. Wolf Lodge guests can also benefit from the Club House, a semi-open air lounge with a roaring fire, round which to toast marshmellows, and sunset views over the rhino and cheetah enclosure. While the reserve is large enough to keep you occupied, there are plenty of other additional experiences to take advantage of. A guided ranger tour is a must, where one of the reserve’s knowledgeable rangers will take you through ‘Africa’ and ‘Asia’ explaining about each of the species as you explore by truck. Individual animal encounters – to be booked separately – will allow you to get up close and feed giraffes, gorillas or rhinos, or become a keeper for a day and assist one of the reserve’s animal experts as they complete their daily duties. 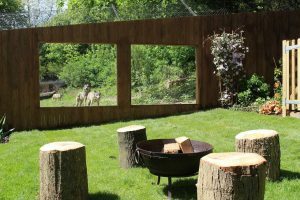 Port Lympne also offers a photography course, to teach you how to capture the best possible pictures of wildlife, or a ‘bush craft’ lesson in how to survive in the wild. Night-vision binoculars can also be hired if you’re staying overnight and wish to explore the reserve in the dark. An overnight stay at Wolf Lodge starts from approx. RM2,226.64. To book, visit aspinallfoundation.org/port-lympne. All profits from the Hotel and Reserve go directly to The Aspinall Foundation to further its vital work of restoring animals to the native homelands. Our favourite culinary moments from St Regis Kuala Lumpur’s collaboration with Chef ThiTid (Ton) Tassanakajohn of Le Du, Bangkok.